You might end up with a new favorite dessert! 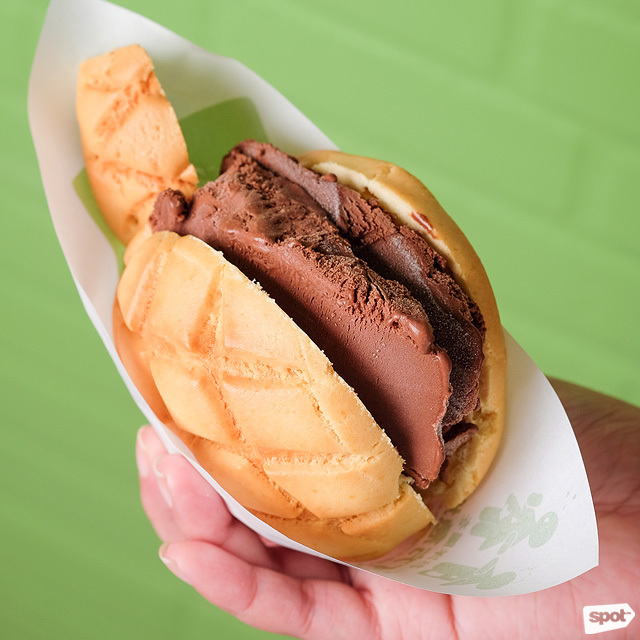 (SPOT.ph) You know you had a pretty awesome childhood when you have memories of having dirty ice cream stuffed in warm pan de sal. 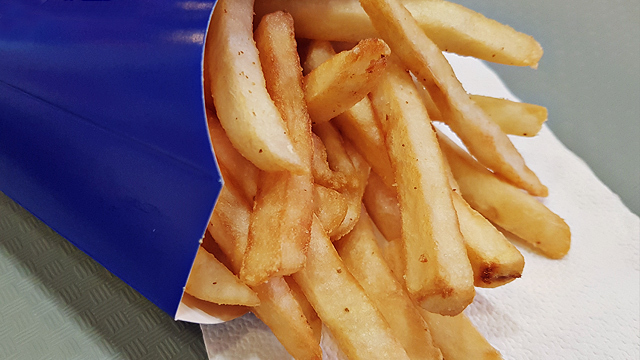 There’s just something extra comforting about the sweet snack. It’s a combination that’s pretty universal, too: The Japanese have their own version with melonpan ice-cream sandwiches. What is melonpan? A fan of Japanese pop culture may know of the sweet, soft bread often depicted in Japanese shows. The bun, named that way because it is said to resemble a melon, has a sweet, soft center and a crunchy cookie-like top. It’s the perfect warm, pillowy base to ice cream sandwiches like those by Melonpan Ice. 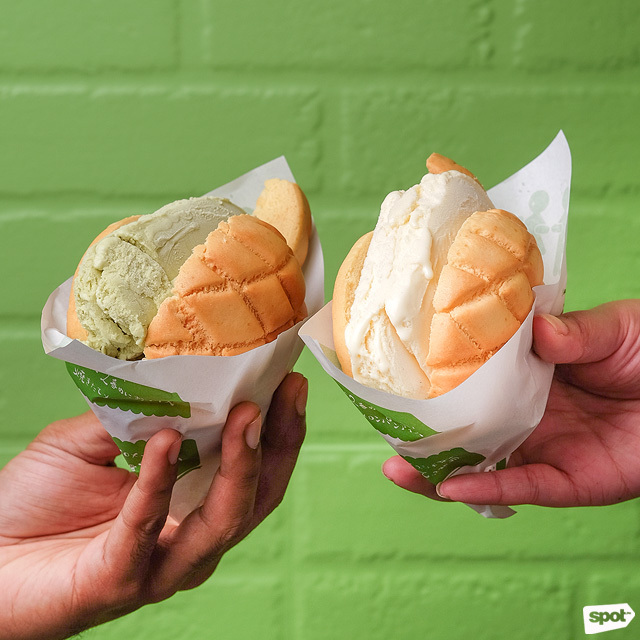 Melonpan Ice is the Filipino branch of the World’s Second Best Freshly Baked Melon-Pan Ice Cream, a truck that originated in Tokyo peddling ice-cream sandwiches. Today they have over 50 branches across Japan and eight all over the world, now including the Philippines. Yes, their name (which, admittedly, is a mouthful) is no mistake. 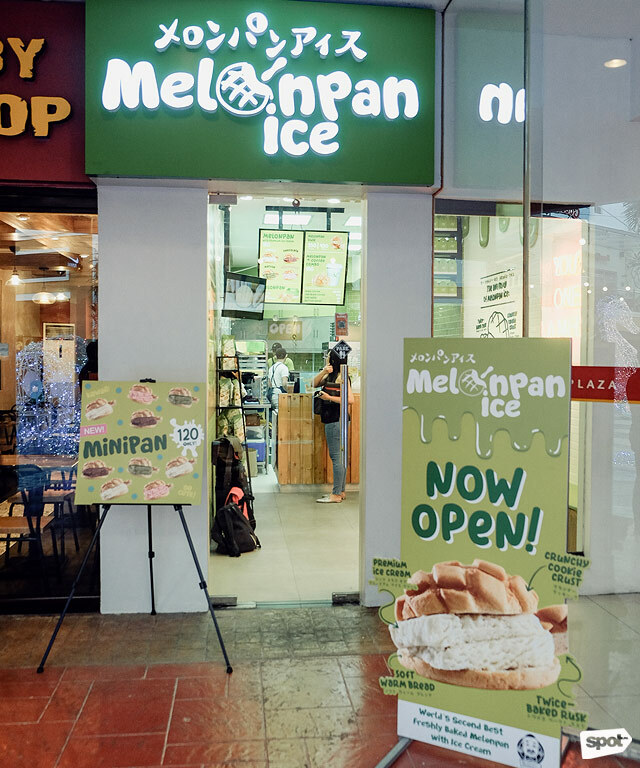 “They call themselves the ‘World’s Second Best’ to pay respect to their master who taught them how to make the sandwich,” says Katrina Uy, who brought in the melonpan store from Japan. 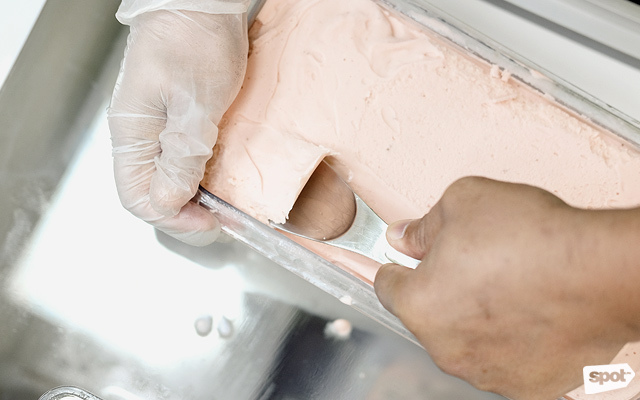 Melonpan Ice makes their own gelato. 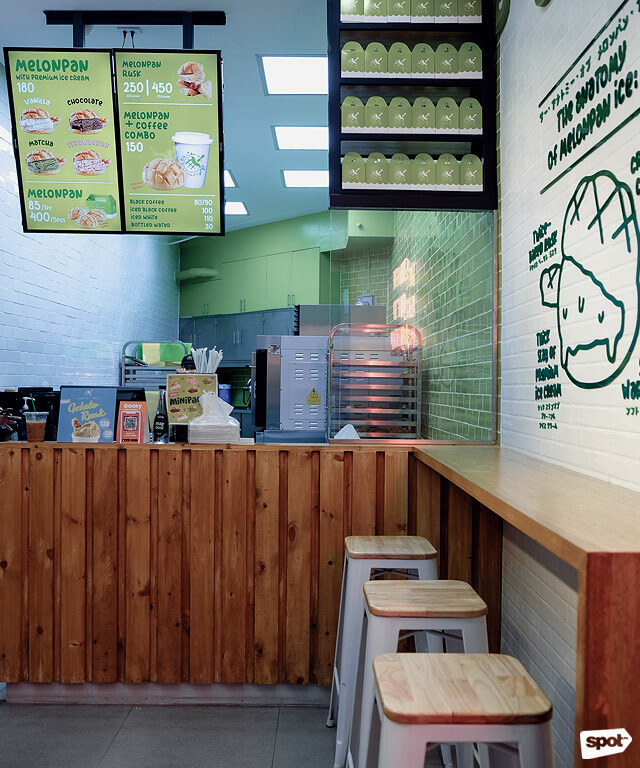 The Matcha will satisfy your green-tea cravings. The Chocolate is on the dark side, balancing out the sweet bread. The Strawberry is as vibrant and zesty as fresh strawberries. 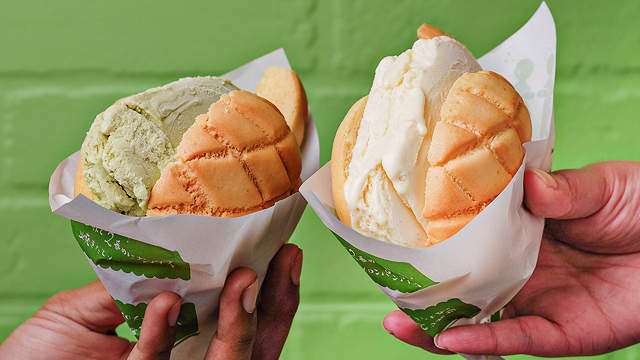 You can get Melonpan With Premium Ice Cream (P180) in four flavors. Whichever you choose, you will get a freshly-baked, warm melonpan that’s sweet and crisp on the outside, and milky and soft on the inside. You can’t go wrong with the classic Vanilla, while the Matcha hits the right spot of earthy and sweet—there’s no question they use real tea. The Chocolate leans on the dark side, which makes it a great complement to the sweeter bread, while the Strawberry is bright and tangy. You also can't go wrong with the classic Vanilla (right). The size of a Melonpan Ice is nothing to scoff at; it may seem like a light treat but it can easily count for a filling snack. 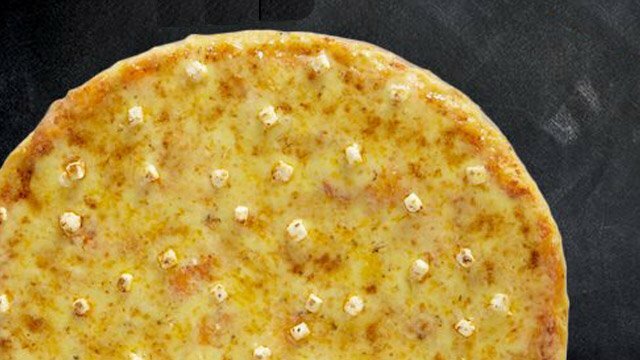 If you’re in the mood for dessert, they’ve also got Minipan, which you can get for P120. 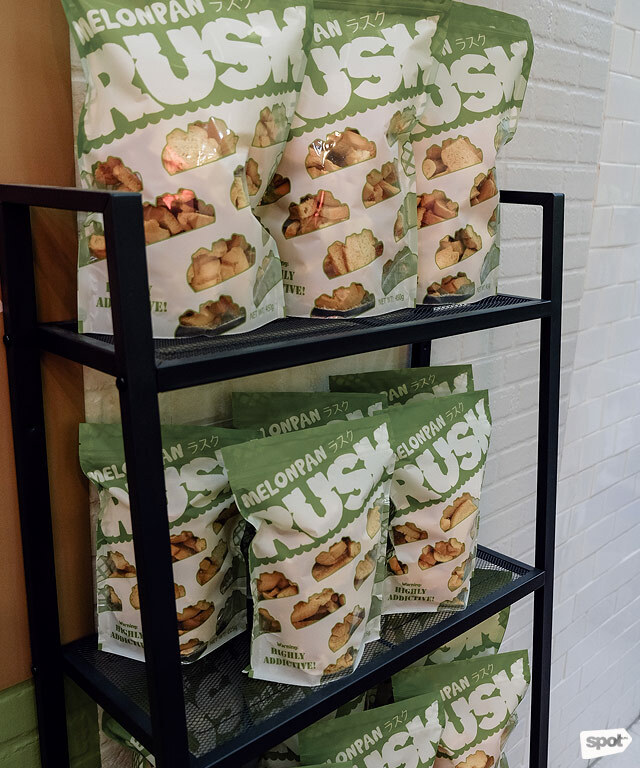 You can also get a bag of Melonpan Rusk (P250/225 grams, P450/450 grams) or crisp, double-baked melonpan. 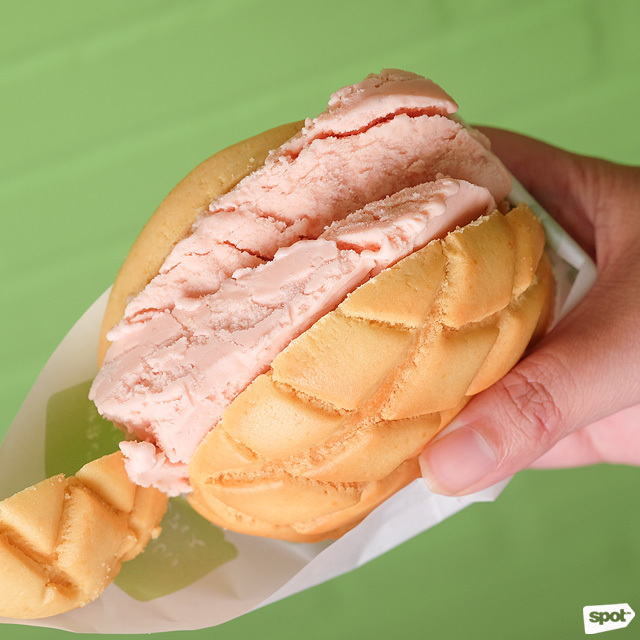 While there’s no denying the appeal of an ice-cream sandwich, the melonpan shines enough and we wouldn’t be surprised if you’d rather have the bread by itself. The Melonpan + Coffee Combo (P150) lets you pair your soft, buttery bread with coffee. 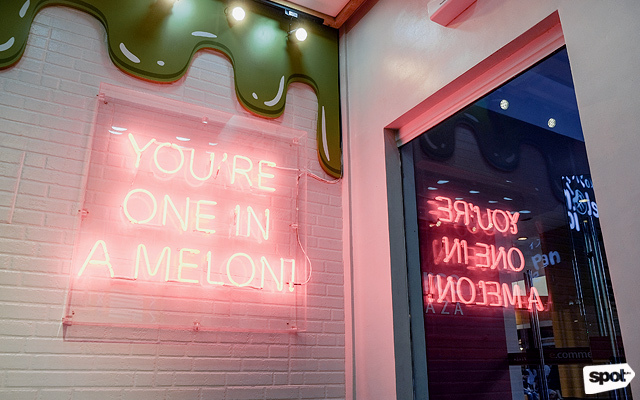 Or you can even take home a box of melonpan—P400 will get you five pieces. 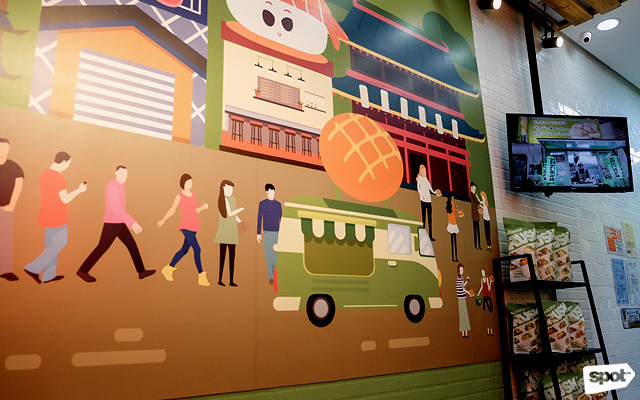 Uy shares that Melonpan has a lot in store for the future including more ice-cream flavors and even savory sandwiches. 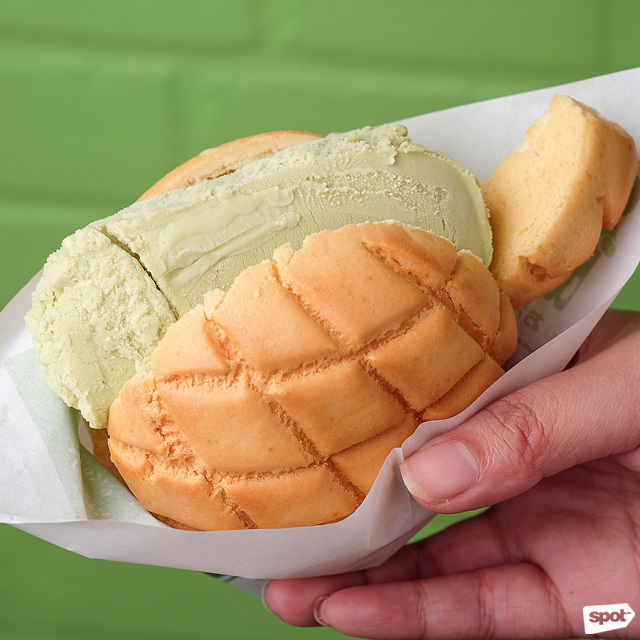 But for now, their Melonpan Ice sandwiches will be more than enough to take you back to carefree childhood summers.